This week's document for Amanuensis Monday is from the Middlesex County, Massachusetts deed records for Deborah Gates, widow and administratrix of the estate of Amos Gates (1706-1783) of Stow, Massachusetts, selling the homestead in Stow to Isaac Whitman in 1791.
or less. The other piece contains Eight acres & sixty rods more or less. 16, 1791 Received & Entered. "Massachusetts, Land Records, 1620-1986," digital images, Church of Jesus Christ of Latter-Day Saints, FamilySearch (https://familysearch.org : , Volume 104, page 371 (image 219 of 311), Deborah Gates (widow and administratrix) to Isaac Whitman, 1791 (recorded 16 May 1791). When Amos Gates died intestate in 1783, his widow Deborah (Thayer) (Rockwood) Gates was named administratrix for his estate. Amos had both real and personal property, but had significant debts that were probably paid off by selling a parcel of land and the personal estate. An agreement was made to dsitribute the widow's thirds to Deborah, but no other distribution of the rest of the real estate was in the probate packet. In this deed executed and recorded in 1791, Deborah Gates, acting as widow and administratrix of Amos Gates, sold the remainder of the real estate that Amos Gates owned at the time of his death, but excepting her own thirds of the real estate. She sold the remainder of the homestead lot to her son-in-law, Isaac Whitman (1760-1791), who married Susannah Gates (1765-??? ?, daughter of Amos and Deborah (Thayer) Gates) in 1784 in Stow, Massachusetts. Isaac Whitman died in August 1791, soon after buying this land from his mother-in-law. 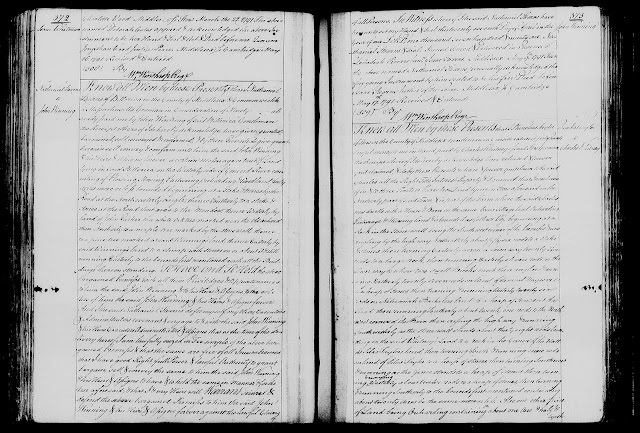 I have not searched for land and probate records for Isaac and Susannah (Gates) Whitman yet. The description of the land for both pieces of the real property (the homestead and Deborah's thirds) in this deed are helpful in describing the metes and bounds of both properties. There are several good clues in this deed to help pinpoint the location of the property (e.g., Lancaster Road, Bolton Line, Long Hill, the Brook), which I will attempt to do in a later post. 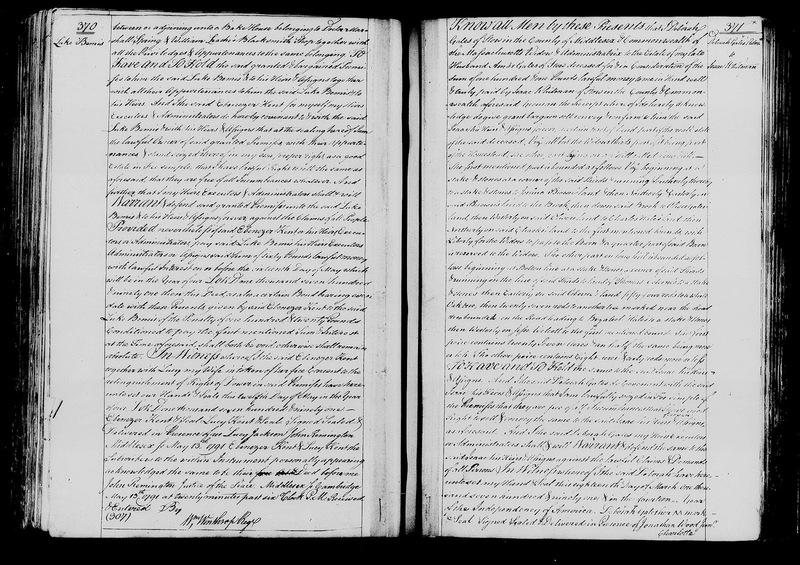 Amos Gates (1706-1783) is my 6th great-grandfather, but Deborah (Thayer) (Rockwood) Gates is his second wife. I am descended from Amos Gates' son, Simon Gates (1739-1803) by the first wife, Mary Hubbard.